Deena Kapacila is trying to raise $5,000 through a Facebook fundraiser for Saskatoon Co-op staff who have been on strike since Nov. 1. Deena Kapacila says it's not the Christmas spirit that makes her want to help people, "it's who we are in Saskatchewan." 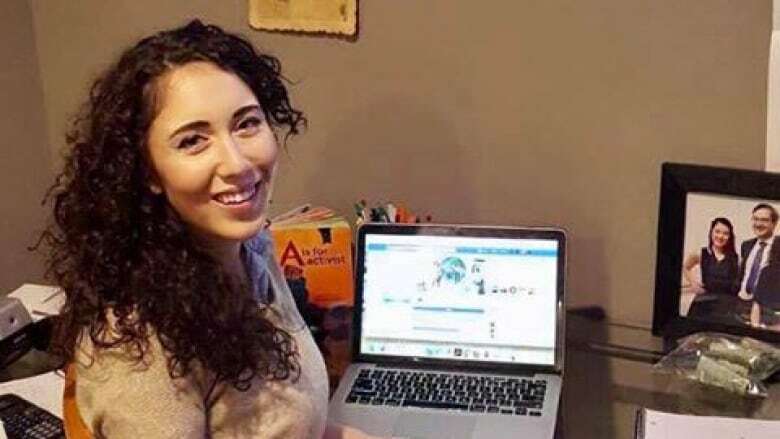 The 22-year-old University of Saskatchewan student started a Facebook fundraiser called "Striking Co-op Workers Kids Christmas Gifts" on Dec. 16. Her goal is to raise money for the staff members of Co-op who are on strike in Saskatoon. "I started thinking about it a few weeks ago, about how they haven't been to work in awhile and it's the Christmas season and a lot of them have young kids," she said. Kapacila's goal is to raise $5,000 to be distributed to people walking the picket line. "It's already over $3,000 now, so it's kind of bigger than I thought it was going to be, that's for sure," she said. Kapacila has no personal connection to the people on strike, but as a self-described labour movement advocate, she said she felt compelled to support them. "I've never worked personally somewhere that I've thought that it needed to be unionized. But when I see folks that have that and feel like they need to go on strike, then, you know, I'm supportive of that, it makes sense to me," she said. On Nov. 1, workers in United Food and Commercial Workers (UFCW) Local 1400 voted to strike over a proposed two-tiered wage structure. Under the proposal, people who had recently been hired would be paid less than current employees doing the same work. Regardless of how much is raised, Kapacila says the fundraiser will be over on Dec. 20. The money will be used to purchase gift cards and pre-paid credit cards that will be given to the union for them to be distributed to the staff on strike. "It feels really good," she said. "I could only donate $30 of my own money because I'm a student, but you know, it's great to be able to give people the platform to donate as much as they can or want to."